The property (33 acres) was donated to the University of California by Mr. Richard B. Gump and the Station was opened in 1985. Operations are funded through a mix of direct support from the University of California (Berkeley, Los Angeles, Santa Barbara, San Diego campuses and Office of the President) and user fees. The Gump Station has hosted the NSF Moorea Coral Reef Long Term Ecological Research site since 2004. It remains the only coral reef in NSF’s LTER network. Facilities at the Station support scientific research and advanced training in marine and terrestrial environments. Research facilities include a large Research building (6,000 ft2 over two levels) containing various laboratories, a library/conference room with HD video-conferencing equipment, and offices for staff and visitors. 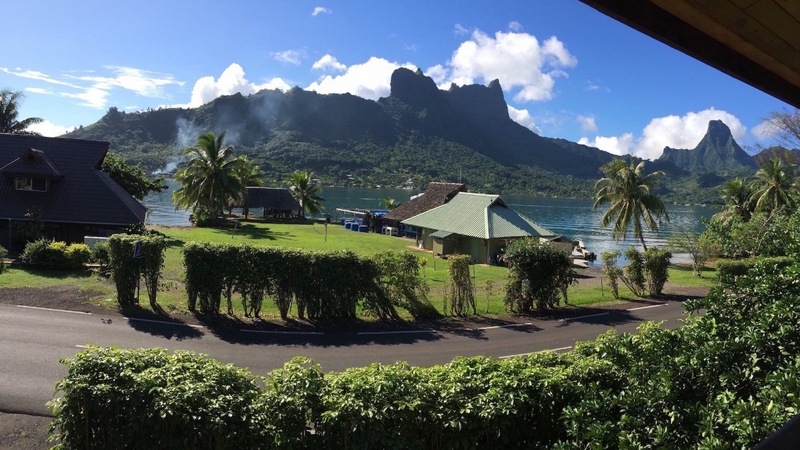 Moorea is connected to Hawaii via a submarine fiber optic cable and the Gump Station provides internet access from all buildings and surrounding areas through its local fiber optic network with local and wifi clouds. On the waterfront, a dock and marine labs are alongside a staging area with SCUBA compressor and small boat access. An open flow-through seawater system serves aquaria, tanks, flumes, and mesocosms with unfiltered seawater from the lagoon. A range of boats are available including, a custom-built 7.6m aluminum boat with twin 115HP engines providing offshore seaworthiness and range; deck space to permit mooring staging and AUV operations; davit/J-frame with winch for deployment and recovery of oceanographic moorings; boom-mount or bracket for shipboard ADCP surveys; enclosed and semi-enclosed cabin to protect electronics. Additional boats include: 6.7m reef workboat (Stabicraft 659; 150HP engine), and 5.2m dive boats (Stabicraft 1750) with 40HP engines, as well as kayaks. The Station provides shared use of vehicles including multi-purpose 4WD twin-cab trucks and small full-electric compact cars. Up to 50 people can be housed at the Station in various accommodation options from private faculty bungalows to a shared dormitory (2 or 3 per room). Approximately half the property is devoted to Teaching and Outreach Facilities at the Atitia Community Center, which consists of an ethnobotanic garden, traditional meeting houses, amphitheater, classroom, caretaker’s residence, and dormitory. It is connected via fiber optic cable to the research station enabling high speed communications—including HD videoconferencing. UCLA is a member of the Consortium that operates the Gump Station. The UCLA Vice Chancellor for Research sits on the Gump Station’s Executive Committee and UCLA faculty members serve on the Station’s Advisory Board. The Marine Center provides a hub on the UCLA campus for coordinating activities at the Gump Station. If you are interested in learning more about opportunities for research or teaching at the Gump Station, please contact the Gump Station director on Moorea and/or the UCLA faculty advisor on campus (see below).